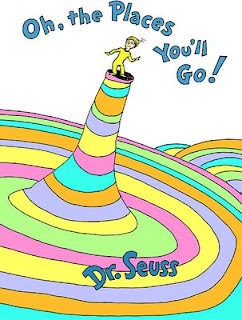 When I graduated, my favorite philosophers gave me a little book, called "Oh, the places you'll go!". Be you young or old, this should be a guide forever! Wow ... I hope you didn't type the whole thing yourself ... Good reading for sure ! I wish you love,light,luck and blessings to achieve your goals!